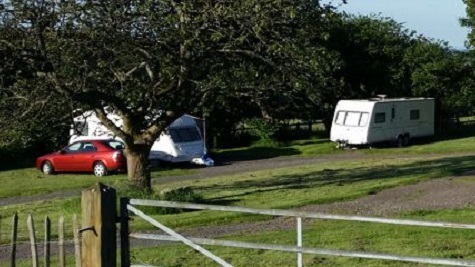 Our CL is a quiet, family run site located on a working farm on the outskirts of Cardiff with panoramic views of Cardiff and the Bristol Channel. Links to the M4 and 6 miles from Cardiff city center. 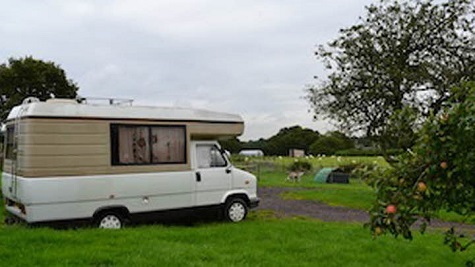 The site itself is situated in an old orchard and on a slight incline, pitches are level and hard standing. Visit our award winning Farm Shop and Antlers Coffee Shop on site offering breakfasts and light lunches, and enjoy the spectacular views of Cardiff where you can buy home reared meat from our onsite butchery and plenty of other local and Welsh produce. Several restaurants and pubs within 2 miles. More information on our Web Site . 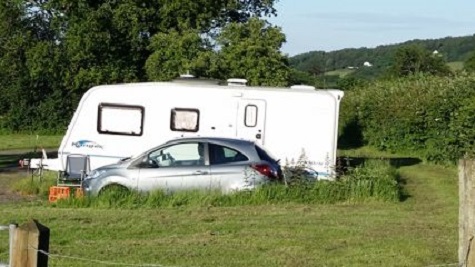 Facilities : Electric hook up available, Suitable for Caravans and Motorhomes, Hardstanding pitches, Scenic views, Dogs allowed, TV reception good. We stayed on this CL for four nights. The access to the site is OK but can be difficult with a large outfit. Make sure you follow the directions given by the owner, the sat nav will send you down some very narrow a steep roads! 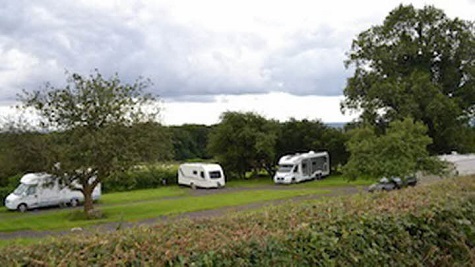 The site is small with some hard standing pitches but as with the access it is difficult with a large outfit to manoeuvre , and each pitch has a slope, so some form of levelling is required. There are electric points distributed around the site and fresh water taps, so you can have a direct fresh water supply to your outfit. As the site is on a slope all the rain water, and being Wales it will rain, if you are on the lower pitches you will have a small stream running in your direction! We didn't use the shop or cafe, but it looked well stocked and was popular with a large number of visitors. A park and ride is about 5 miles from the CL, Cardiff East which makes visiting the city fairly easy. If you wish to visit this area this CL is fine, I wouldn't wish to stay more than a four or five nights. Just back from New House farm after a three night stay last week. 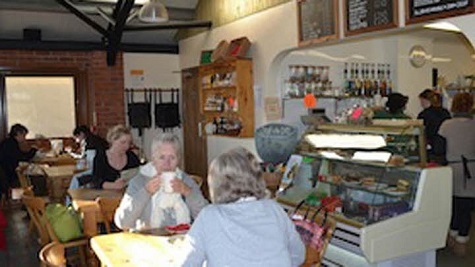 Site is at the rear of a very nice farm shop/coffee shop which is popular with visitors between 10 and 5 in the day. fairly steep access road. 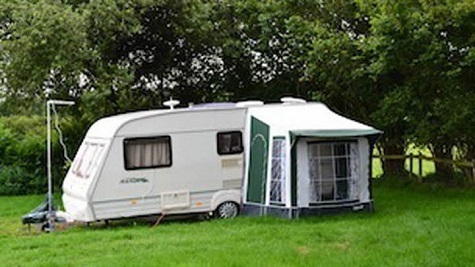 The pitches are sloping bar one which is tricky to access but if you have wheel chocks you will be fine. Donkeys and sheep in adjacent field. Road noise could be an issue but being as it is constant you don't seem to notice after a while. Welcome was 'moderate' on arrival with little information provided. You can easily visit Cardiff and Caerphilly which are both very interesting. Cardiff obviously has many attractions not least the wonderful Cardiff Bay development. Caerphilly castle is well worth a visit too. Overall good value per night but would like it to have just a little TLC to make it that extra special. We stayed two nights visiting Cardiff for a show. 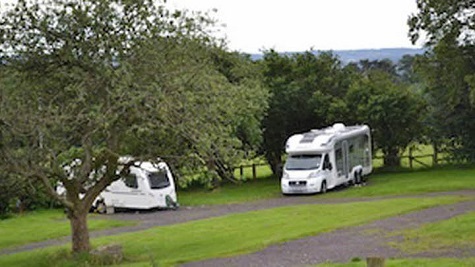 The site is as described with good level pitches and electric and water etc close by. 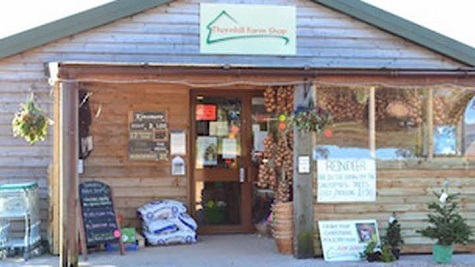 Fields around full of sheep and Alpacas etc alongside superb farm shop and cafe - serves very good full english breakfast. Play area for little ones and some farm animals to see. We walked 15 mins to local train line for 15 mins journey into the centre of the city - ideal. If coming from Bristol/over the bridge do not take first motorway exit (as advised by Sat Nav) take the one after and come back, it's a little further doubling back but easier roads. Lovely! Stayed here for a weekend to watch Heineken Cup Final . Easy to find. Noise from M4 not an issue at all. Small site, part hard standings. Easy access to electric and water. Easy access to waste disposal. Very quiet surrounded by sheep and cows. Welcome fine in the shop. No probs. 15 mins walk to train station at Levisane & Thornhill they run every 15 mins to Cardiff Central EXCEPT Sundays. Only 15 mins journey . ?4.50 return 2 pubs within walking distance from site. Defo would stay here again. Will need levelling blocks and own toilet. Directions : Leave the M4 at junction 32 onto the A470 signposted Cardiff. At the first traffic lights keep left. In 0.5 mile at the mini roundabout turn right. In about 0.25 mile turn left immediately past the modern church. At traffic lights turn left onto the A469 signposted Caerphilly. Continue past the crematorium and over the railway bridge. Turn right immediately past the public house into Capel Gwylym Road. In 180 metres turn right into farm entrance. Site is on the right past Thornhill farm shop.